While drinking in cafes and beer gardens is probably the number one local leisure activity, our Leisure section is geared more for those looking for outdoor activities on a beautiful day, or how to stay active on an ugly one. Generally, Cracovians are spoiled with recreation opportunities, if only for the fact that the Old Town is a joy to stroll around when the sun is out and features several unique green spaces, particularly the Planty and Błonia, the latter of which is home to an ice rink in winter. Other highlights include Las Wolski (Wolski Forest), which is home to Kościuszko and Piłsudski Mounds, as well as the Zoo, and provides plenty of hiking opportunities. 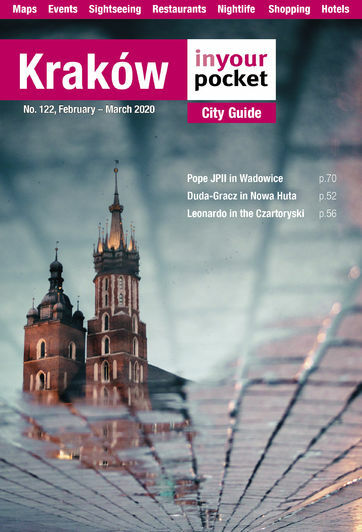 Cracovians also love getting out of town, whether it be short day-outings to Tyniec and Ojców (both of which you can expect to be packed on sunny weekends), or mountains excursions to the Beskidy and Tatra ranges to the south. Zakopane is an especially popular destination for skiing in winter and hiking in the summer. Use the listings below to keep active in every season.